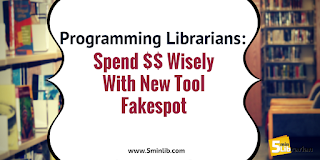 5 Minute Librarian: Programming Librarian: Spend $$ Wisely With New Tool Fakespot! 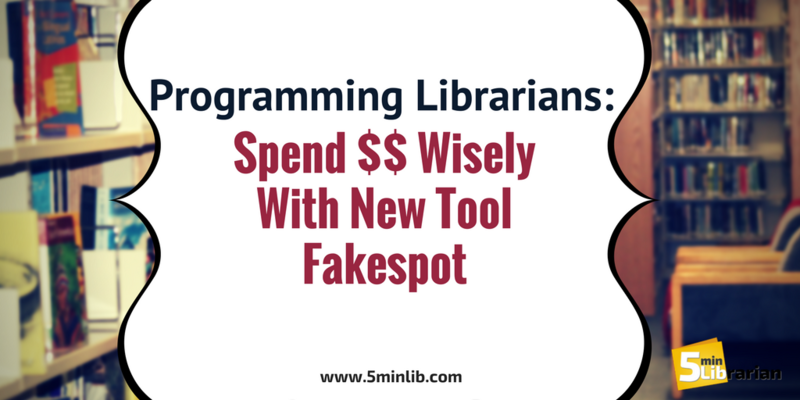 Programming Librarian: Spend $$ Wisely With New Tool Fakespot! We are really excited today to talk about a new online tool, Fakespot. If there could be a librarian for Amazon reviews, Fakespot would be it. It is the perfect website for anyone who has to purchase an unfamiliar product. It doesn't matter if it is craft supplies for a library program or a new vacuum for the staff room- Fakespot will evaluate the reviews for free! Fakespot won't tell you which is the best - you will need to pick out your favorites first - but afterwards you can analyze their reviews through Fakespot to double check their authenticity. It is so easy to use. Just go to Amazon and look up the product you want to buy. Let's say you want to buy a cell phone charging station for your reading area. Amazon has over 50,000 results! What charging station to choose? So, now your decision is easy! Best go for the middle price point and order the last one. If you don't want to do that much research, you can use their "Find Me Similar Products" feature and they'll bring you to the ones with good reviewer grades. It is located in the exclamation point section. Fakespot is best for products with lots of reviews (more potential to find fake reviews there than one with just a handful). They only work for Amazon (and a few other websites that are non-library related), BUT even if your library doesn't order from Amazon, it is very likely that your store's products are also on Amazon. Research first, then buy! Of course, as we all know, automated evaluation programs aren't perfect. So, take their results with a grain of salt and use your judgment. However, they are certainly helpful with making decisions if you aren't sure... And in this day and age with so much fake hype going around, having a truth detector is very handy.